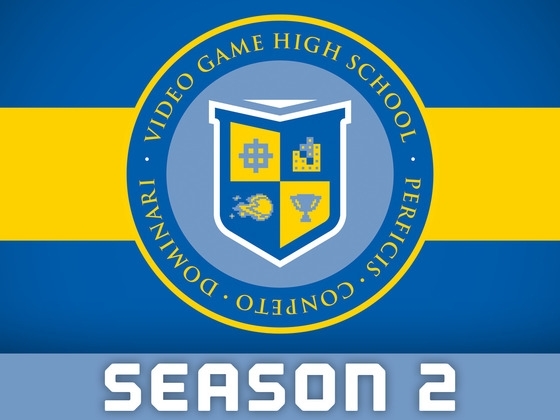 The long awaited trailer for VGHS Season 2 is now available. Freddie Wong and his team at Rocket Jump have out done themselves this season. Watch closely as you will see K1 Speed go karts used for Mario Kart Battle Arena. Can’t wait for the new season to start July 25th! Season Two will take place over six TV-length episodes, for a total of 160-180 minutes of action-packed goodness. Meanwhile, Brian’s best bud Ted Wong struggles to prove himself to the Drift Racing Team. Along the way, he’ll square off against the Drift King’s arch rival, the Duchess of Kart and partake in a sacred – and deadly – rite of drift passage. And as Ki Swan finds herself mired in an existential crisis, yearning for meaning in a meaningless world, she’ll match wits with an egomaniacal RTS Player, duel a wandering fighting gamer ronin, and engage in a high stakes game of Poker-mon for her very right to stay at VGHS. Video Game High School is a series set in an alternate reality where professional video gaming becomes the biggest spectator sport in the world. It follows Brian D, an aspiring pro gamer who lands an invitation to VGHS, the most prestigious gaming academy in the world. Think Hogwarts, but instead of spells and magic wands, it’s headshots and IBM Model M keyboards! In 2010, they launched a successful Kickstarter campaign for Season 1, which premiered online on our site Rocketjump.com and YouTube.com/FreddieW. Just over a year later, the series has received over 40 million views and is now available on Blu-Ray, DVD, iTunes, Netflix, as well as Xbox and PS3.